Feb 08 2019 - Update, it appears my Wall Connector with 14-50 Plug has vanished entirely from the Model 3 Charging page after I installed mine and published this article. I'm reaching out to Tesla to find out why, and will update this article if I hear back. Meanwhile, the Google cached version of the broken URL still works, and the manual hasn't been pulled. I'm not saying this particular EVSE, the new Wall Connector with 14-50 Plug, is the one for you. 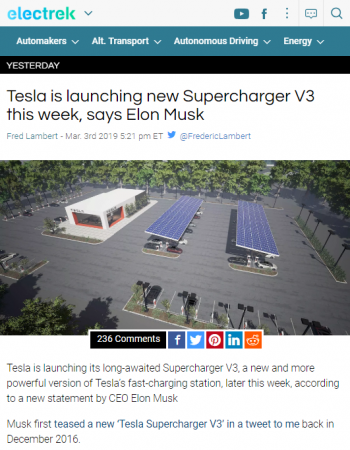 I'm only saying that that after reading this article, you'll be able to make a more informed charging solution decision for yourself. It really depending upon your requirements, garage layout, and budget. Also have a listen to this podcast segment that explains that your charging losses may be roughly 5-10% less at 48 amps than at 40 amps, so go with the electrician-installed Wall Connector if you can afford to wait for one ordered from Tesla and installed by an electrician, who will likely also have to upgrade your wiring and breakers. If you already have a NEMA-14-50 though, the Wall Connector with 14-50 Plug might be a great choice for you. Graph from Clean Technica, click image to see source article with larger images. 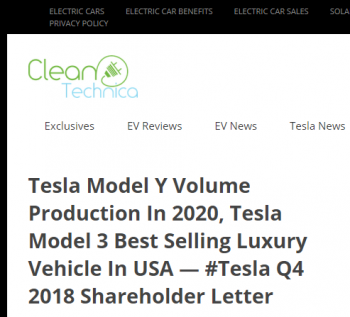 The Tesla Model 3 is fast becoming a popular car, and the base prices are due to become lower this year, which should accelerate sales even further. 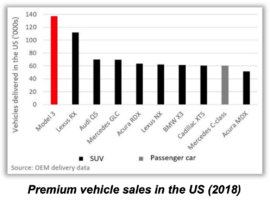 In the Luxury Vehicle category, it was the best seller in 2018, and it's the first American car on that list in many years. Brisk sales also means a lot of first time EV (Electric Vehicle) buyers like me will have an experience much like mine: The car can be ordered and picked up in well under a week now that production has ramped up, but that's far faster than you can get an electrician to your house. Finding the exact details to tell your electrician was a challenge for me, and I wished a detailed article like this one existed. My family enjoyed over a thousand miles those first 2 weeks, and we sure are glad we live only 4 miles from a Supercharger, which was free for our first months of Supercharging. Why the urgency in getting a charging solution installed in our garage? Because charging at home at 3 to 4 miles of charge per hour from a regular wall outlet wasn't exactly cutting it for our multi-hundred, dead-of-winter family road trips during the multi-week wait for an electrician. Worry not, the Model 3 is a wonderful car. Coupled with a new charger that came out just in time, and I can safely say that things worked out very well for me and my family in the end. Let me help you navigate the many charging options for the Tesla Model 3, listed at the online Tesla Store here. 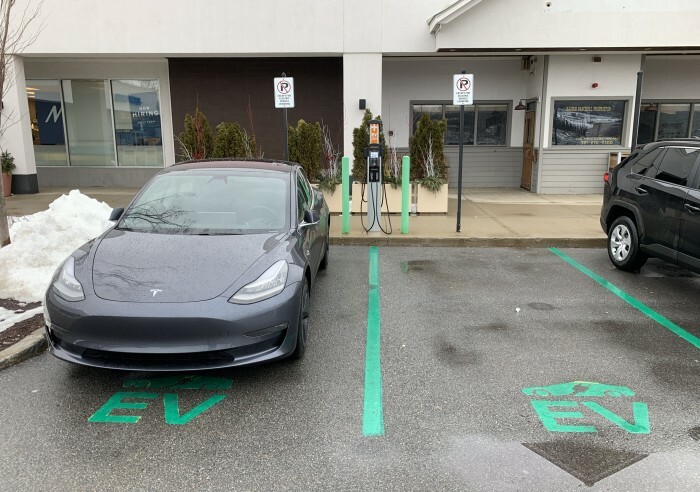 Note that it's often not exactly easy to find some or any of these in-stock at local Tesla locations, at least not for me here in CT (Connecticut), with no dealerships state-wide, and zero charger inventory at Tesla Service Center of Milford CT. 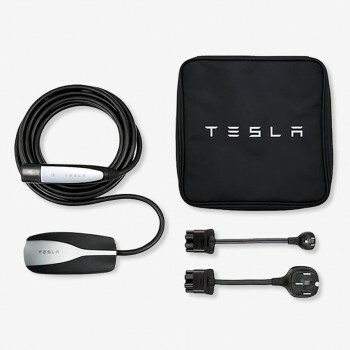 Remember, my shopping was for my Tesla Model 3 Long Range Dual Motor, your needs and battery capacity and charge rates will vary, see Tesla's Wall Connector article for the latest details. Electrician installs NEMA 14-50 outlet, you plug in. No electrician? Just plug into a regular outlet using the provided adapter, but you'll only see a 3-5 mph charge rate. 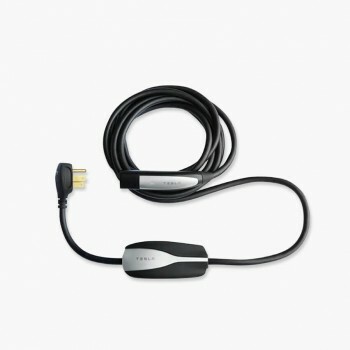 This is the charger the Model 3 comes with since 2018, and should be kept in the car. You can buy another to keep in your garage. The current "Gen2" version limits charging speeds to 32 amps, versus the 40 amps the Gen1 units came with. Hard to find a definitive answer why this reduction. 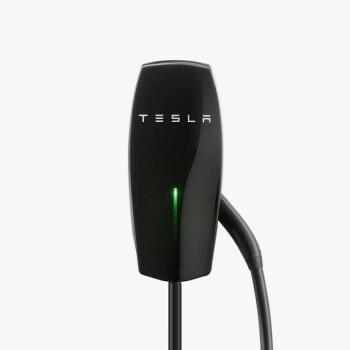 I also asked Milford CT Tesla Service if this accessory listed under Model S Charging was safe to use with the Model 3 for long term use, and they were unable to get a definitive answer. Since it has the hard-wired NEMA 14-50 cord, it should get a 40 amp charge rate. But then why isn't it listed on the list of chargers for the Model 3? Electrician hard-wires Wall Charger for you. This is also known as the HPWC, High Power Wall Charger. Silver or Gloss Black Wall Connector, in 8.5' or 24' lengths. This pretty much requires an electrician install it, although I realize some DIYers will take this on themselves. I'd rather have my insurance company know my electrician pulled a permit and passed an inspection, should something bad happen some day. Yes, you are paying for that. 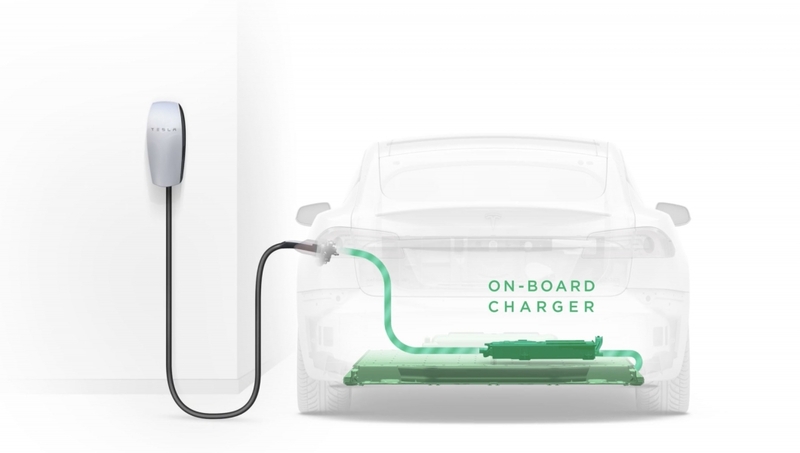 While the signaling between Wall Connector sounds good, that would mean you're assuming both EV cars in your garage someday would both be Teslas, and both would use the same style of charger. There's also the additional cost in having these signal cables connected to consider, really only needed if you have only one circuit in your garage. I now have enough juice on hand for two. 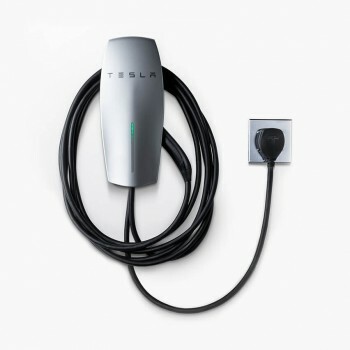 Tesla launches new Wall Connector with NEMA 14-50 plug. My patience waiting for a better solution had paid off. You see, I had suspected that more charging solutions might be available soon: I didn't want to buy another 32 amp charging kit knowing a faster solution might be on the way. I'm glad I waited a bit. 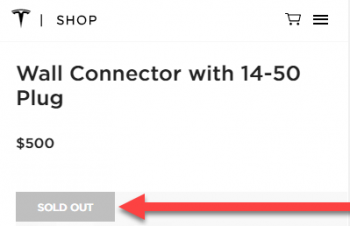 As of Jan 31 2019, the Wall Connector with 14-50 Plug shows as Sold Out. Given I knew these would likely sell quickly, and that it met my needs quite nicely since I already had a NEMA 14-50 outlet installed, I ordered mine that very same day. Good thing I did, because currently (Jan 30 2019) it shows as Sold Out, unfortunately, and it won't let you pre-order. Just a gray "Out of Stock" button. Perhaps your local Tesla dealer has some? Note, this charger decision is a big commitment, and once the box is opened and the unit is installed, you won't be able to return it. Why was Option #4 the best charger for my needs? This is how 24' of 47 amp capable Wall Charger cabling can actually look hung on a wall. I also didn't really want to wait for and pay for another electrician visit to mount a Wall Charger when one finally did arrive. I would also likely struggle to find any electrician willing to deal with my narrow installation space, since the metal back-plate that the charger fastens to requires side access and clearance to get to those 4 side-mounted screws. Getting a Wall Charger with a tidy 8' cable would mean it would have to be something to step over rather than sling from my ceiling. That doesn't appeal to me long term. 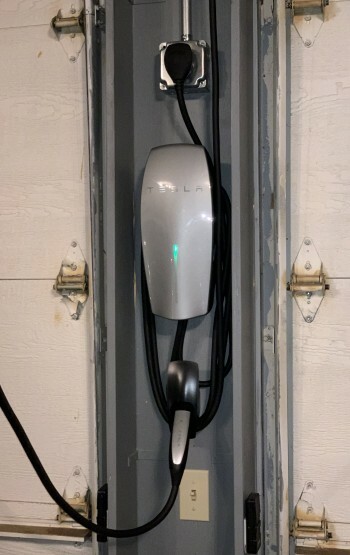 40 amp / 35 mph charge rate, using my Tesla Wall Connector with 14-50 Plug. I don't believe I ever quite see the 37 mph charge rate my configuration may be capable of according to Tesla's tables, but then again, I bought this car in the middle of winter, so maybe I should be seeing those charge rates at home yet anyway. My goals for my garage were to have two spots to charge, with a bit of future-proofing. I wanted enough juice to handle two EVs at once in a pinch, even at 40 amps for each. Finally, it needed to go from 5% to 95% in under 9 hours, even in sub-freezing garage temperatures. This charger met all those needs. No DIP switch settings or troubleshooting, it either works or it doesn’t. This would seem to be likely to be easier for Tesla to support in the field, given the simplicity. If you poke round Tesla forums, you'll see plenty of stories about Gen1 Mobile charger issues at 40 amp and/or stories of Wall Connectors wired wrong by electricians. By the way, as for future-proofing. If for some reason I ever want to step-up to 47 amps and a hard wired Wall Charger, that would be labor and a little materials to have the electrician upgrade the short lengths of #6 to #4, and the breakers from 50 amp to 60 amp in the garage subpanel, along with signaling cable between them. It's unlikely to ever be a road I'll be going down. Plain old NEMA 14-50 outlets I now already have will do nicely, even if our family's second EV (maybe someday) is a shorter range non-Tesla vehicle. 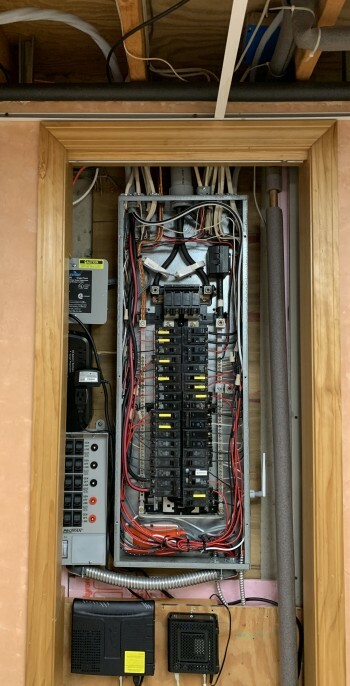 You may be able to save money and have your electrician home-run (direct) attach your #6 wiring to your home's service panel, skipping the subpanel in the garage. For me personally, I'm glad I'm unlikely to need any electrician to go into my basement and string 80' of cabling to my garage again. Any future upgrades are likely done right in the garage. I only have about 2' of clearance on either side of my charger. Getting my wall bracket on was the easy part. But fastening those blue thread-locked screws that come with the Wall Connector was a bit tricky and required some carpentry, since they're side mounted. Once that was done via some holes and a long Torx driver, I then mounted a Tesla Cable Organizer to hang the charger handle below my Wall Connector. This worked out nicely, as you can see (more pics and videos to come). To the left of my 200 amp panel starting at the top, you can see my Whole HOme Leviton 51120-1 Panel Protector 120/240-Volt, a UPS my VOIP and cable modem below, and my Reliance Controls 31410CRK Manual Generator Transfer Switch. Inside and above left of the panel, you can see the #1 SEU cable that runs to the garage. Below in orange, you can see the Sense Home Energy Monitor. Disclaimer: I'm not an electrician. This article is FYI only, a starting point to help you make a more informed decision when discussing your options with your electrician, given your home's layout and exact vehicle type. Your home's safety and following local code is clearly you and your electrician's responsibility, not mine. Please contact Tesla Home Charging Installation with questions. GE Subpanel in my garage, featuring 2 50 amp dual-pole breakers. He also installed a Manual Transfer Switch with outdoor outlet that I already owned, for my portable generator that keeps key circuits energized whenever I have extended power outages in my New England home. This component has nothing to do with the Tesla, but figured I should mention it since the installation of all those wires can be seen in the time lapse video of the electrician. The actual time your electrician spends in your main panel is likely to be far less, to get your NEMA 14-50 outlet(s) installed. You can see I created have a wooden box which kept the garage door's tension cables from any chance of tangling with my electrical cables, but it also made my Wall Connector a bit of a tight fit. Boring some 1/4" holes in the sides of the box allowed me to get the metal wall mount bracket's screws tightened into the sides of the Wall Connector. Done! This is a very long shot for me, should the Powerwall become more affordable someday. 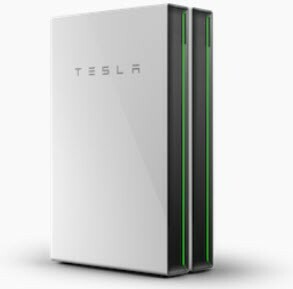 Installing a Tesla Powerwall near my main 200 amp service someday would be something really quite separate from everything installed for charging. There seems to be no way to really future-proof or re-use the electrical work I just had done for a Powerwall. Everything in my garage would likely left as-is. I currently just don't experience enough extended power outages to possibly justify the cost. For Tesla Model 3 buyers, this time line will give you some sense of what you might be in for, when trying to convince you family how easy it is to charge your vehicle at home. Yes, because of a shortage of electricians listed, along with back-ordered online, and a lack of stock at local Tesla Dealerships, you may be in for a multi-week wait. In my case, it was a full month and a day before my 40 amp solution was finally installed, with a bunch of things learned along the way. My Wall Connector with 14-50 Plug took until January 24th to arrive across country (CA to CT via FedEx ground), with no option to expedite shipping. Good thing I was able to use my NEMA 14-50 for a nice 32 amp charge while waiting, and taking that Mobile Connection kit with me on longer road trips, just in case. The day my Wall Connector with 14-50 Plug arrived, it turned out that a surprise road trip was needed that evening to visit distant family. That meant a bit of a rush was on to get it installed right away, to be able to charge even faster right in our garage. I was only at 70% battery and needed 100% asap, and we were trying to avoid the need to Supercharge along the way for this particular time-sensitive road trip. Yes, I was able to easily get this installed myself, on my schedule, with 4K video recording of me doing it, still working on getting that video ready to share. Model 3 Long Range Dual Motor deposit placed. 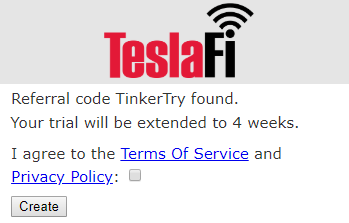 Used Tesla's Find an Electrician site used to get an appointment for an estimate. The listed Electrician arrives to discuss installation, but Tesla requires him to have several inches of clearance around the Wall Charger and that concerns me a bit, as I then cannot mount between my two garage doors. We discuss ways of mounting on the far wall to the right rear of the Model 3, but crossing to the left rear would be clumsy. Model 3 delivery date in Mt. Kisco, NY, 88 miles from home. 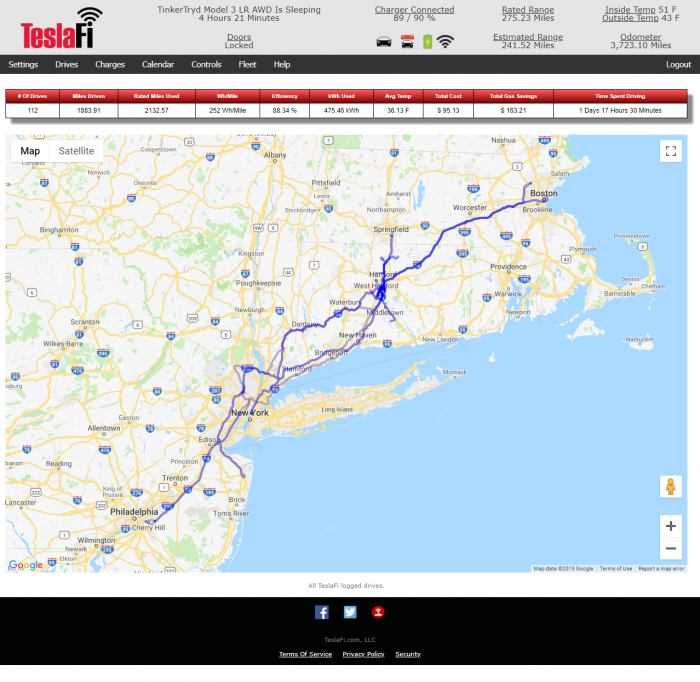 With only one electrician listed on Find an Electrician site for my area code 860 in Connecticut, I use Home Advisor to find more, with two responding. Second electrician visits to give an estimate, not available to do the work for more than 2 weeks. A third electrician visits to give an estimate, available to do the work sooner. The chosen electrician was Elliott Bell from BCL Electrical Contractors, who worked diligently from 9:30am to 6pm to complete all specified work, see also time-lapse below. Here's the work that was performed. Wall Connector with NEMA 14-50 Plug announced, and my order placed. Town of Wethersfield Electrical Inspector arrives, approves the work. Wall Connector with NEMA 14-50 Plug arrived at my home in Connecticut. Elliott Electric arrives to complete any recommended alterations. Project is finally complete. 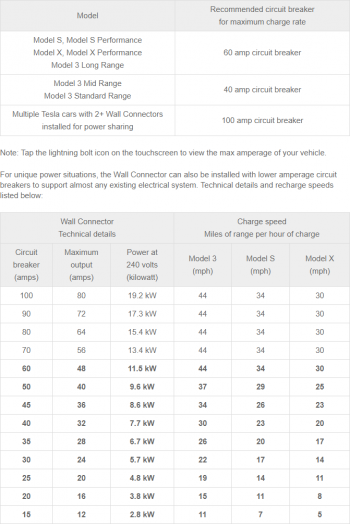 Now let's discuss the whole 60 amp breaker thing, only relevant for the Model 3 Long Range. 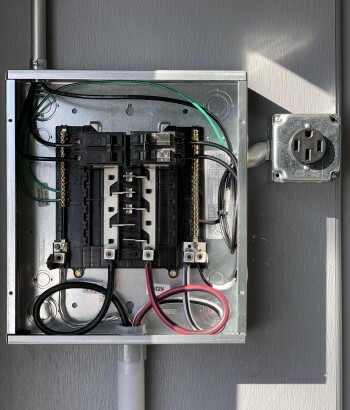 Local electrical codes can vary, and electrician preferences may vary, so you may wind up with a 50 amp breaker, depending upon what your inspector says to your electrician. Either way, 40 amps max charging on a NEMA 14-50 outlet that uses #6 wiring to your subpanel (or panel) is fine even with a 50 amp breaker, which is how my configuration wound up. I get the full 40 amp charge rate for hours, with no issues. Note that the table on this charger info page confirms a 50 amp circuit breaker can be used for 40 amps of power draw. Will it trip on those hot summer days, when the compressor for my home's AC system kicks on? That is unknown, probably depends partly on how much my neighborhood's voltage sags on those days too. Tesla Wall Connector with 14-50 Plug, quickly disconnecting and connecting my garaged Model 3 LR. Note that with your charging cable suspended from the ceiling like this, the passengers have less to trip on or walk in to when walking around the vehicle to get in or out. The 8.5' cable length Wall Charger is too short to allow for such an arrangement. The Sense Home Energy Monitor is said to now understand what charging a model 3 at home looks like, mine just hasn't picked mine up yet, and I'm not sure they're looking at supporting recognition at the various 32, 40, and 48 amp charge rates. This real time video shows exactly what starting to charge at home looks like from a energy usage / watt burn perspective, about 10,000 watts at 40 amp maximum. This clip features my Sense Home Energy Monitor, showing how the charge rate steps up in increments. 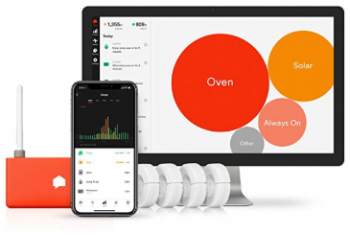 You can shop for the Sense Home Energy Monitor at Amazon, see also the solar version on Amazon. I have recorded footage at all of the Superchargers seen on this Google Map, and I hope to publish more of them. My Sense Home Energy Monitor alerted me that it found my Tesla, nice! It was about 10°F outdoors and about 25°F in my garage overnight. When I went to charge my Tesla while watching the Sense Home Energy Monitor, starting at 77 %. Turns out my washer and dryer happened to both also be running at this time as well. Because of the cold, the ramp-up rate of the Tesla Model 3 took about 20 minutes, according to my handy TeslaFi logs. This combination of slow rates and other activities in my home seems to have "tricked" the Sense to not noticing it was actually my Tesla charging. No activity seen under "Tesla" device. Of course, I'm not sure the washer and dryer running had anything to do with that, it's more likely it was just the very slow ramp-up due to cold weather. 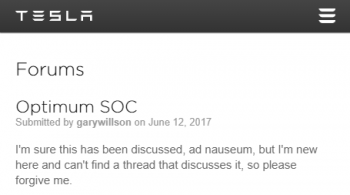 I'll happily provide this feedback to Sense in their forum thread. After 45 minutes, at 82% battery, I then stopped the charging. A full hour later, I started charging again, with the battery still somewhat warmed and showing at 78%. This time, all went well, Sense immediately displayed my Tesla as it ramped up to full 40 amp charge rate in just a minute or two. This is good! I suspect my Sense will catch all charges when the weather is at at or above 20°F, which is a vast majority of the time here in Connecticut. So catching slow winter weather charges will be nice, but such nights only happen perhaps 4 to 5 times a year, so proportionally, I'm likely to now be capturing more than 95% of my charging activities. Spoke passionately about what his company is doing for the employees, and for the state. Having worked with this company in the past and been challenged with parking there before, this kind of thing sends a clear signal to employees that EVs matter. I enjoyed that Patrick shared some of the challenges and missteps he faced implementing charging stations way back in 2011. Dana Lowell, Green Mountain Power. 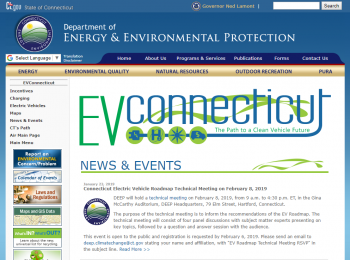 Green Mountain Power provides free residential EVSE & Fixed Fee for EV charging. SELCO Residential from Shrewsbury Electric and Cable Operations (Massachusetts) offers a free Wi-Fi enabled Level 2 charger. conEdison of New York is offering SmartCharge, with a free C2 device that plugs-in to car's OBD port to monitor charge times, and $20/month for no-charging during summer peak hours, $5/month for keeping the C2 device connected, and $0.10/kWh for charing off peak. School buses are a great fleet vehicle to consider, since they're not used in the summer peak period of highest grid demands. Eversource is actually my energy company, so I certainly paid attention to incentives and ideas that Charlotte spoke of. 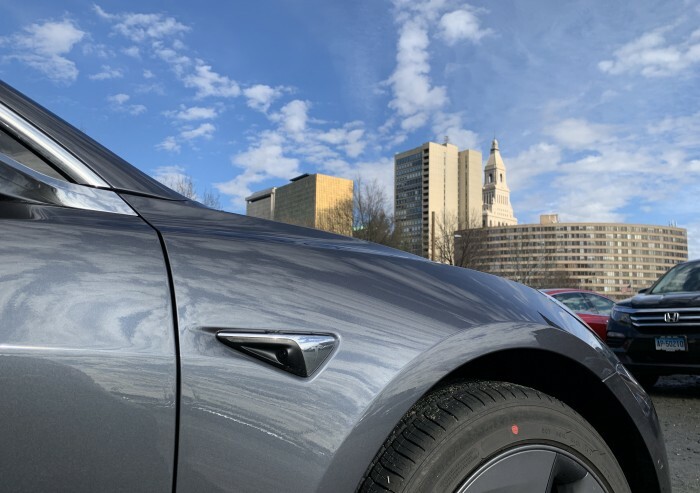 She mentioned that the relatively flat growth of electricity in Connecticut is actually success, and shared some plans about the possibility of a utility managing Level 2 chargers. 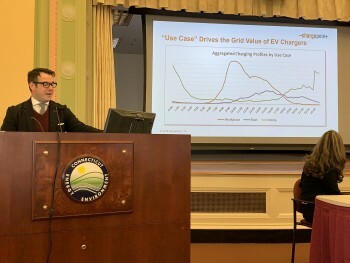 She also mentioned that all Eversource has offered off-hours rates to all customers, but it was barely used, and in her view, such a model of billing is likely to diminish over time. Such time-of-use rates are where the cost-causers pay. Set it and forget it is preferable, sending control signals to that customer's particular charger intelligently, with no customer action required. Tesla Powerwall for $15/month was also something she was looking into, but another way would be to use the massive battery of your car for a more extended backup for home power. 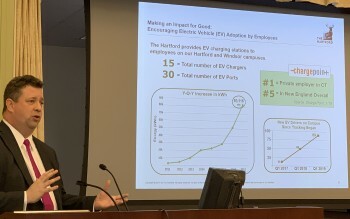 Kevin mentioned that 400 of their chargers operating in Connecticut, and equated Network Charging to Smart Charging in his slide deck. Kevin shared a story where Baltimore did a pilot where they offered a second meter for EV-only charging, and it was successful. 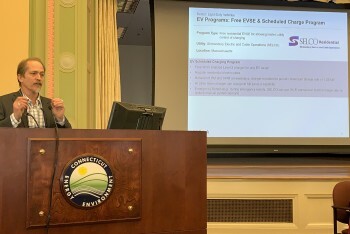 He also mentioned that there is a hearing in Connecticut this Thursday, requiring new construction to require EV parking. One of the attendees mentioned Dr. Willett Kempton, who has worked on the concept of our EV batteries powering the grid. Chris Nelder, Rocky Mountain Institute. Chris mentioned that DCFC (DC Fast Charging) tends to be roughly as expensive as gas, and that only much slower Level 2 is more affordable. "We have a problem." Watson got into some of the details of DC Conversion equipment as well. For me, the best parts are talking with such industry leaders after the presentations, and I did get to share some charging and ownership successes and challenges with Charlotte, Kevin, and even Chris. Despite my short time there, what a worthwhile event this was for me, and I sure wish I could have been there longer. I plan to share the entire day's slide deck, assuming it gets published. Feb 13 2019 Update - The slide decks for each session are now available to clicking the various links here, or using the Presentation links I added inline, above. More links here. Panoramic image of DEEP hearing on Feb 8 2019. 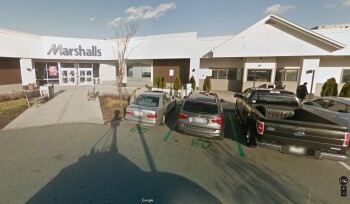 Google Maps image showing non EV cars taking both EV parking spots that ChargePoint has at this Burlington MA strip mall. I used my first ChargePoint station yesterday, over in Burlington MA. 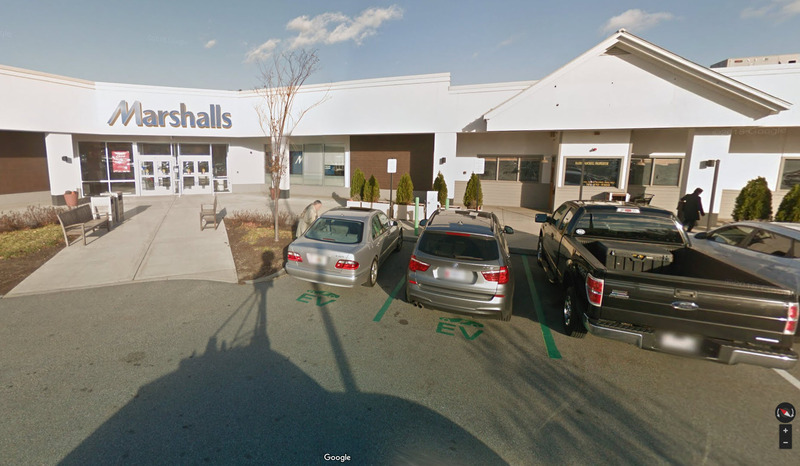 Gladly, both spots were unoccupied, but a glance at this Google Map photo quite clearly shows the challenge any such company has, when providing convenient spots, right near the handicapped spots. Yes, non-EV cars. Seems to fall in the no good deed goes unpunished category. Later this evening, I'll be setting out for New York City again for this event, with some light snow predicted for my return tomorrow early afternoon into early evening. Whatever I do, I'll avoid rush hour. To my surprise, this Icon said they offer EV and Tesla charging! So I found Icon Parking, 14-26 S William St, New York,, NY 10004 here and here, taking reservations here. but since I'm overnight, I suspect I'll go with an EV charger spot instead, so I can simply leave my Model 3 there for about 16 hours. Icon told me that would be $10, and that seems about right, since the same garage shows on ChargePoint too, a site that offers no direct linking by the way. Even if I wind up not being able to charge because I'm arriving late evening, no problem, I actually should have enough power to make it to NYC and back, about 230 miles round trip, with the cold taking up some of my 310 mile range. Of course, there are plenty of Superchargers along the way home should I need to or want to stop. 1) turn on "Chill Mode"
I'll also say that they did have Tesla-branded wall chargers, which is great, with a very helpful and friendly attendant. The next day, when walking directly to the garage to pick up my car, the cashier didn't bother to turn my stub over to see that the hotel had stamped it when I was checking out. I noticed $70 indicated on the cash register, as he waited for me to insert my credit card. I asked him to turn the card over, he begrudgingly did so, then dropped the overnight price to the expected $40. Had I had a coupon from the web site printed within 3 hours of arriving at the garage, perhaps I could have knocked that price down further. 1) turn off "Chill Mode"
As I endured horrible Manhattan traffic for an hour and made my way off the island, I suddenly realized they had forgotten to charge me for charging my Model 3, I feel bad about that. Please don't take advantage of this info, and remind your cashier that you owe for the charge, it's only fair. In case you're not familiar with the Supercharging experience when you're far from home, it turns out that I've already gone over 4,000 miles these first 9 weeks of Model 3 ownership, a mix of leisure and work related trips. I've already had a chance to try out all of these northeastern US stations, for free, during these first 6 months of Model 3 Ownership. I figured you might appreciate a little winter tour of each of these facilities, starting near Boston, moving Westward, ending in northern New Jersey. 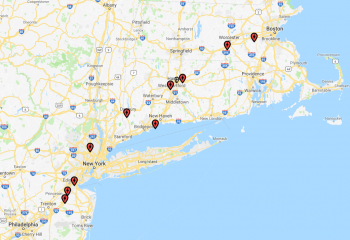 Close look at 11 Tesla Supercharger Locations in the Northeastern US, in 4K! I also have a map of these locations for you, with details on each of the Superchargers when you click on the corresponding marker. With today's V3 Supercharging announcement, charging just got a lot faster for Model 3 owners, roughly double. Well, that's the promise anyway, details about how long it will take to roll this out are few. 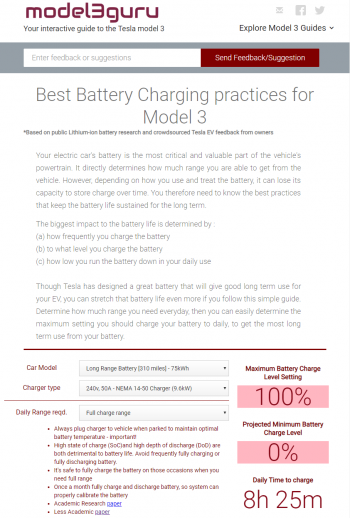 Nearer term, there are upgrades to the Model 3 software that will help get the batteries ready for a faster charger as the car nears the Supercharger. Pretty nice surprise! 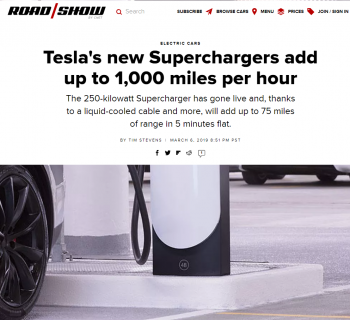 The 250-kilowatt Supercharger has gone live and, thanks to a liquid-cooled cable and more, will add up to 75 miles of range in 5 minutes flat. In Fremont today, Tesla is launching the next generation Supercharger V3 with higher charging capacity (250 kW), better efficiency, and more. and based on positive reviews at PlugShare here, I decided to give this Little Man Parking location a try last night. I told the attendant it would be great if they could charge the car before my return on Mar 12 in the late afternoon, and he agreed. 32 mph charge rate noted. This morning, I check the app, and noticed I was still at 150 miles of range, barely enough to get home on this winter's day. So I dug up my stub, and found that I couldn't seem to get a message through to them via the SMS number they listed. Instead, I called the parking garage directly at 212-967-2848 a little before 6am, well before things get busier. The polite person (presumably from the next shift) noticed the vehicle was still parked right near the entrance, so I asked if he could charge it. He assured me it would be charged before my pickup tonight. A little while later, I received a polite call back that my valet key had been locked inside the car, discovered when he went to move my car. 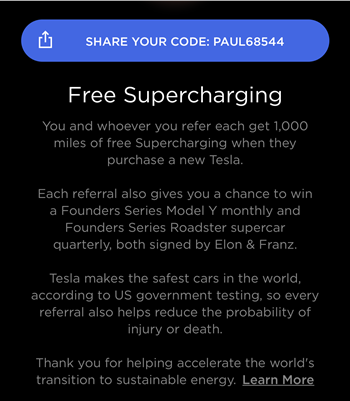 No problem, I just used the Tesla app to remotely unlock the vehicle while still on the phone, and all was well. Once the vehicle was moved to a lower level for charging, charging at 32 miles/hr began (pictured), and I was still able to connect via the Tesla app, this is good! In warmer weather, I likely won't need to bother with $10 charging in Manhattan, but it's good to know it's available, especially for those mid-winter trips to the big city that are in my future. I'll be ready with a generous cash tip when I go to pick up my vehicle later today, should I find no damage to my vehicle. Fingers crossed. I texted LM Parking just my ticket stub# at 7:30pm, it worked, and a few seconds later a person or a bot replied with a simple "Message confirmed." While the ticket stub said to text them an hour before pickup, when I arrived with my luggage at 8:10pm, my Model 3 was there just getting parked for me right near the exit, nice! There were big smiles on the staff, laughing at their fortunate timing. 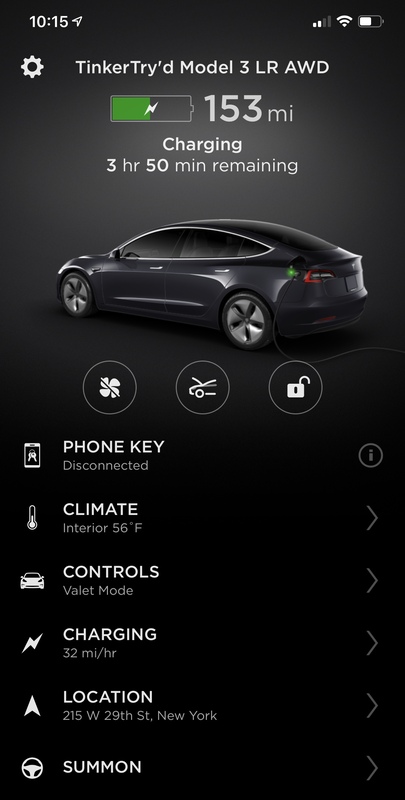 We discussed the automatic locking that they noticed when I walked away from the car after loading my trunk, so now they understand that having the phone # of any Tesla owners is probably a good idea, in case questions about locking or charging come up. I would rather they'd keep the key card locked up and labeled somewhere, but now I know to keep the driver side window down when using this facility. Perhaps that's a common thing in NYC, not sure. I'm sure glad they didn't try to break into my vehicle, had it been blocking somebody (during the accidental car-locked-with-key-card-inside-overnight incident). Cooley on Cars - Charger Tech. Cooley on Cars - Electric Car Range Explained. 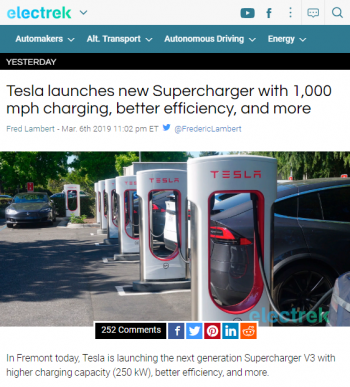 Charging station (Wikipedia), includes links to CHAdeMO, IEC Type 1/​SAE J1772, and more. This next video is actually a preview of the Wall Connector with 14-50 Plug over a year before it finally came out, and now it's Sold Out after only 2 weeks. It's unfortunate that Tesla is having a hard time keeping up with the demand for home charging solutions. DÆrik - Unboxing an Unannounced Tesla Product! Would You Buy One?